I am in the process of redesigning the grill and dining area at our offices in between other work projects. 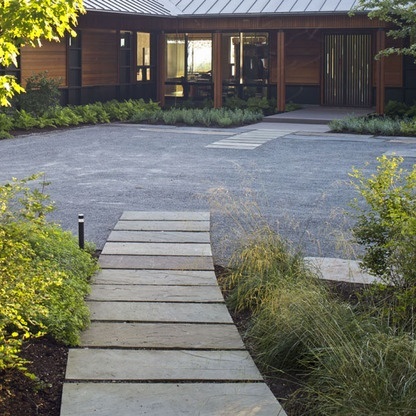 Immediately surrounding our offices we have 5 acres of gardens that have been designed and installed over the past ten years. 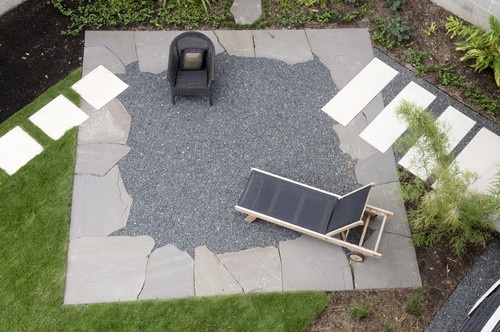 The grill area was on of the first areas installed and most heavily used, making it prime for a redesign. 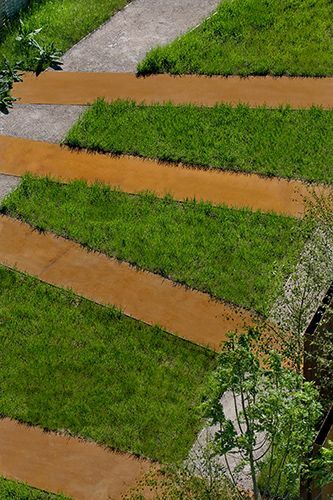 With this project we are able to improve on how we use the area and enhance the flow and features that are working well, and fix the problem areas. I will share the whole project once I am done with the design, but in the mean time will share some of the plants and elements inspiring me as I design. 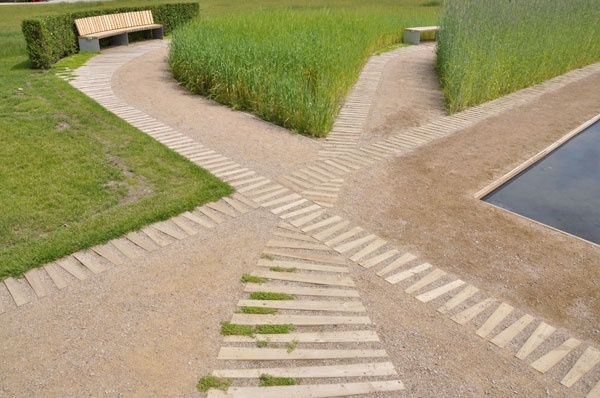 Interruptive Paving is something I saw a lot while I was touring gardens in Belgium and is often used in large gardens when combing two different areas to blend the paving or hard surfaces. 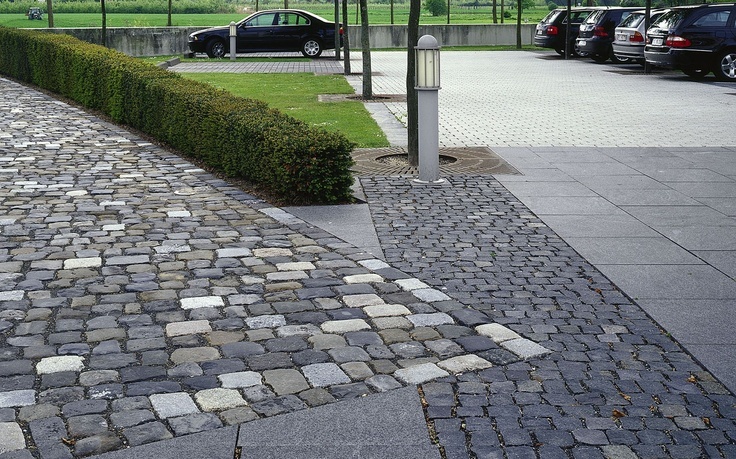 Different from when one paving element borders another, interruptive paving will intercept and break the paving elements, and help direct the eye or blend areas. 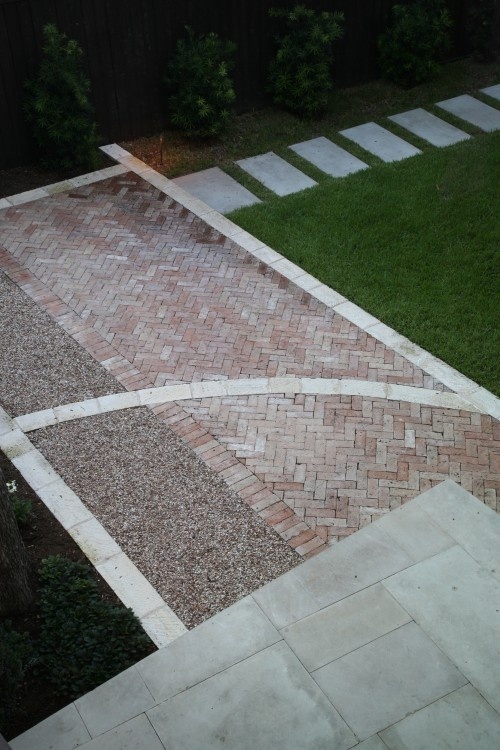 It follows the more is more in paving and allows you to incorporate multiple paving elements and pattern in one area. 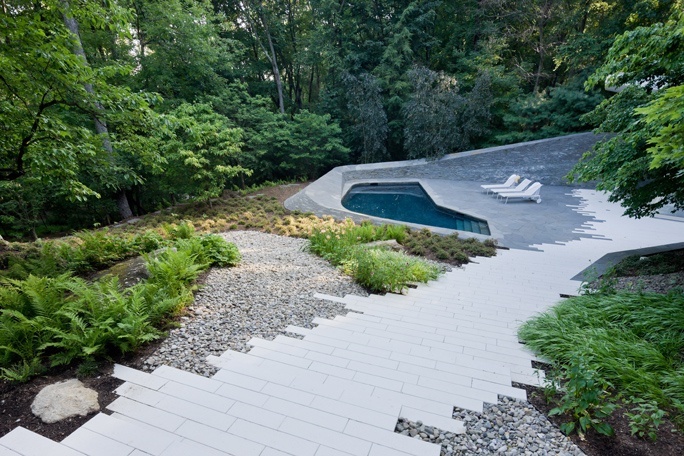 Since our offices are a place to share design ideas with clients and test how surfaces will weather in Central Ohio, this is a great design style to play with. My Pin Here, Original Here. My Pin Here, Original from Here. 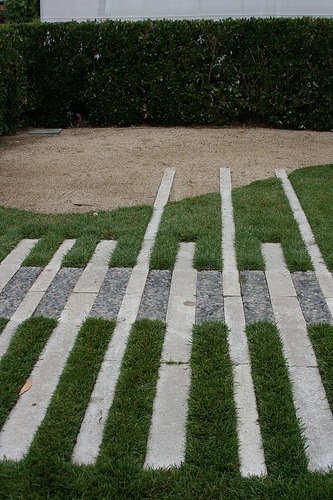 Designer – RH Factor Landscape Design, Houston TX. Fabulous post. I can’t wait to share this idea with my students this fall.